The Leading Community Management Service for Twitter. Focus on Your Top Influencers, supporters & potential leads. Actionable Insights: whom to follow, whom to reply, whom to thank. 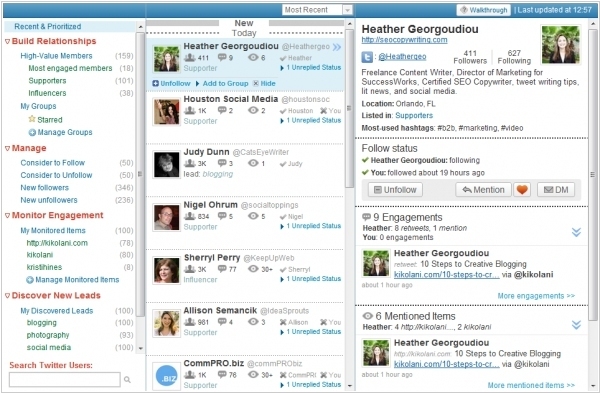 Stress-Free Social Productivity: Commun.it analyzes relationships & helps you focus on the right people. Social networks become more and more important for business, and IT vendors invent new innovative solutions that help companies to use social networks. We have already talked a lot about tools that allow to monitor social networks (for mentions of your company or products), pull information from social profiles to CRM, Helpdesk and Email, centrally post messages to social networks and measure their marketing impact. And the new service Commun.it provides a tool that helps to develop relationships with Twitter users (just like CRM helps to develop relationships with clients). 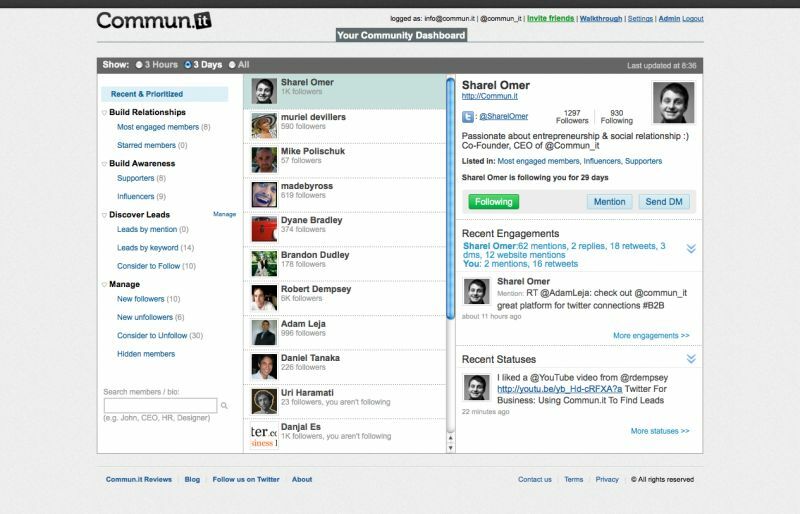 In Commun.it you can analyze your followers, identify the most influential bloggers, get acquainted with them, monitor their activities and messages about your company (and respond to them in them), view the history of your communication with those bloggers (to learn more about them and engage them in retweeting your posts). Commun.it customer list speaks for itself: Cisco, HP, Dell, Sony, Nike, Citroen, Volkswagen. The service provides a free version with some limitations (1 Twitter-account, up to 30 bloggers to track, up to 4 phrases to monitor, up to 3 days for reporting).